So...here goes. I will try my best to be much better about keeping up with everyone. We definitely need continued prayer and wisdom as we draw closer to Josiah's due date and whatever the Lord has in store for his life and our family. I just love the verse at the beginning of this post. It reminds me that it is the Lord who knows Josiah's story. He is sovereign over his life and ours. I am 29 weeks right now. 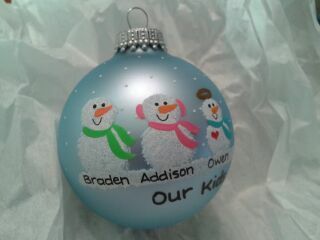 Josiah's "official" due date is February 11. He is an active active active little guy. He reminds me SO much of my pregnancy with Addison. He moves around so much more than I even remember Owen doing. When I was pregnant with Owen, I remember comparing him to Addison as well , even thinking how much I was looking forward to having a "mellow" baby after her! She was (and is!) a little stinker. But, right now I am glad that Josiah is sharing some of these qualities with his big sister. 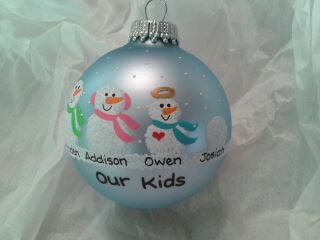 Addison has a big personality and I am thinking of Josiah in that way too. I think he is a fighter and that's what he needs to be. Over the past few weeks I have been letting myself hope. I still have up and down days. Some days I have a hard time shaking the sadness. And some days I let myself actually start thinking......what if? What if he makes it to term? What if the Lord's plan is to let us spend some time with him? What if we could actually bring him home if even for a short time? His kicks and wiggles won't let me forget that he is alive and well with us right now. And I have been reading ALOT on Trisomy 18. I have received a couple of books (THANK YOU to each of you for thinking of us! ), I have been reading blogs and I have emailed a couple of other moms of babies living with Trisomy 18 ( Jill.......I really am going to get myself together and call you one of these days! ) and I have overall been looking for HOPE. And I am finding it. And today I am feeling it. Tommorrow might be a different story, but right now as I sit here typing this up, Josiah is kicking like crazy and I let myself think.......what if? So that has been my prayer lately....I pray that God might continue to give us the gift of time with Josiah and specifically that he might survive delivery even if just for a little bit. I have already had to deliver one baby who was stillborn and would be so thankful to not have to endure that again. I am not unrealistic. I know that the statistics are not in our favor. I know what the report from Akron Children's showed in regards to Josiah's heart and kidneys and brain. I also know that God is the one who is writing Josiah's story and so I just need to leave it in His hands. Right now He has called us to love him while we have him and to trust in Him. So we keep praying for his little life and that the Lord will give us peace, comfort and wisdom as we walk thru this trial. The time we have been given with Josiah has been an unexpected blessing. I have been really loving our little night-time routine. He usually gets very active in the 8 to 10pm range and even if he has been snoozing right before I finally get to bed he ALWAYS "kicks" me goodnight. Sometimes it might just be once or twice....sometimes he's still dancing as I fall asleep. But, he has done it every night since he started getting big enough to make his presence known! Sometimes I find myself worried that I hadn't felt him for a little bit, and I just talk to him telling him to just give me a little kick so I know he's OK. And he does. It's hard not to smile when you feel that. In the midst of all the what-if's there he is reminding me what IS. He's an amazing little guy and I feel like I am getting a taste of his personality every day. I am so thankful that God is giving us this time together. I am so thankful that Daddy and the kids have all gotten to feel his kicks. I am trying to spend these last several weeks focusing on what we have to share with him right now. Thank you so much to each of you for the different ways you have thought of us and cared for us over the past few months. Thank you for your prayers. Thank you for your emails, comments on this blog, messages and cards. 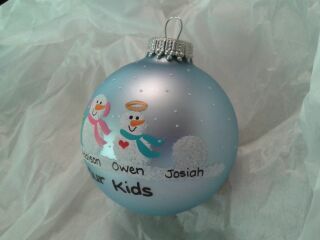 Thank you for remembering Owen. Thank you for praying for Josiah. Thank you for praying for the kids and for us. We have another fetal echocardiogram appointment next week so please be in prayer for that appointment. At the last appointment the cardiologist said that there was no change and that his heart, in spite of it's defects, was still functioning fairly well and not showing any signs of deterioration, so we're hoping for a similar report at this next appointment. Always praying Cat. Always. LOVE. Isaiah 43:2 "When thou passest though the waters, I will be with thee; and through the rivers, they shall not overflow thee: when thou walkest though the fire, thou shalt not be burned; neither shall the flame kindle upon thee"